Present state: There are slight remnants of the original platform, some sleepers also remain to indicate the position of the passing loop. Notes: Cliffe is the first of the original stations on the branch and as built only had one platform, the second being added in 1935. It had a small goods yard, pricipally used by the local fruit growers. Other traffic handled included milk and explosives from Curtis and Harvey's gunpowder works at Cliffe. Origins of the railway on the peninsula go back indirectly to the Continental Trade Agreement whereby the LCDR and SER agreed to share all receipts from Kent Coast and Continental traffic in various proportions. In 1876 the LCDR violated the terms by opening a railway pier at Queenborough with angered the SER who immediately revived the scheme for a line from Gravesend to the Medway and to achieve this end, they instigated a supposedly independent company called the Hundred of Hoo Railway Company. As the route from Charing Cross to Port Victoria (as it was to be called) was 40 miles compared to the LCDR's 52 mile route to Queenborough, the SER were convinced the route would be successful. 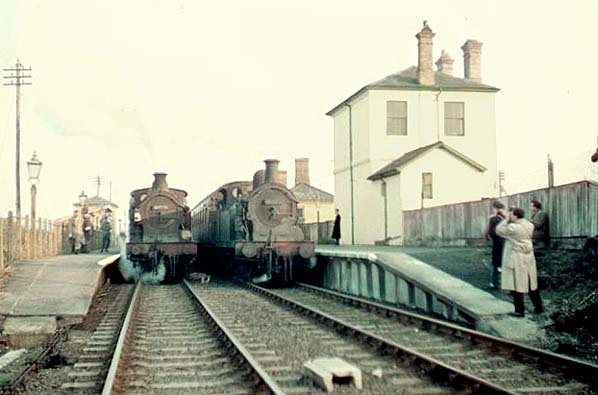 Initially the Port Victoria branch had only two intermediate stations at Cliffe and Sharnal Street but in 1906 new halts were added to serve villages at High Halstow, Beluncle, Middle Stoke and Grain Crossing. 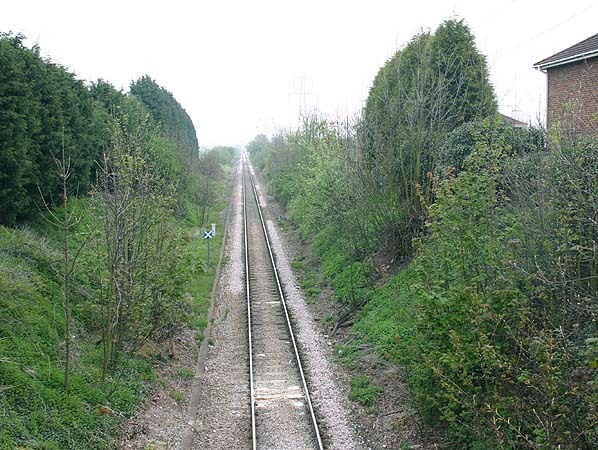 Between Cliffe and the junction with the Gravesend to Higham line, a halt was provided near the British Uralite works that had opened in 1901 and was used mainly by workmen's traffic. Three further halts were also provided on the main line at Milton Road, Denton and Milton Range. The halts were all of timber construction but were later rebuilt in prefabricated concrete. Milton Road was short lived and closed during WW1 as an economy measure. It had never been popular due to its close proximity to Gravesend Central and it never reopened. By 1916 the pier at Port Victoria was declared unsafe and the seaward portion was barricaded off. The Southern Railway opened a single-track branch line from a new station at Stoke Junction to Allhallows on Sea in 1932 optimistic that a new resort would develop around the station. A station hotel was built but the bleak marshes did not entice the holidaymakers. Six trains a day were provided, two of these to and from London. Allhallows-on-Sea station comprised an island platform with a run-round loop plus carriage and goods sidings. Still hopeful, the Southern Railway maintained its confidence in the lines future with a second platform being added at Cliffe and Sharnal Street and the branch to Allhallows was doubled in 1935. After the war the long term future of freight traffic seemed assured with the Anglo-Iranian Oil Company (the successor to Power Petroleum) building their largest refinery in Britain at Grain in 1948. Extensive rail facilities were provided and from June 19th 1951 Port Victoria (which was within the new refinery) and Grain Crossing Halt were closed while a new Grain Station was constructed 700 yards east of Grain Crossing. 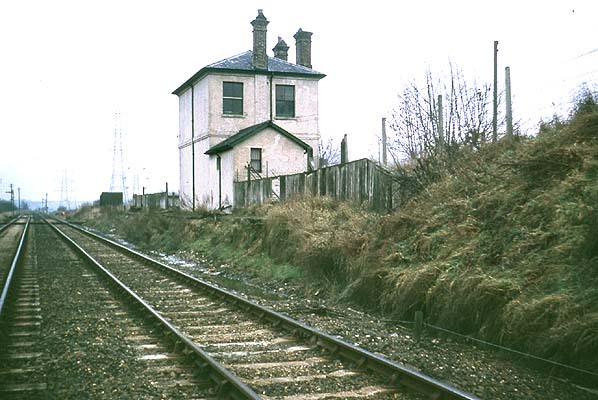 The new station had a long single island platform and a large brick signal box and was intended primarily for the use of workmen at the oil terminal.